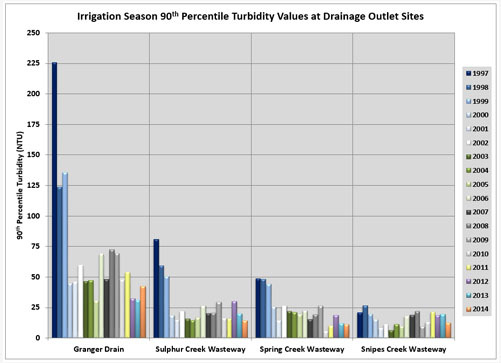 Click here for Granger Drain Turbidity graph (2006). Click here for Sulphur Creek Wasteway graph (2006). 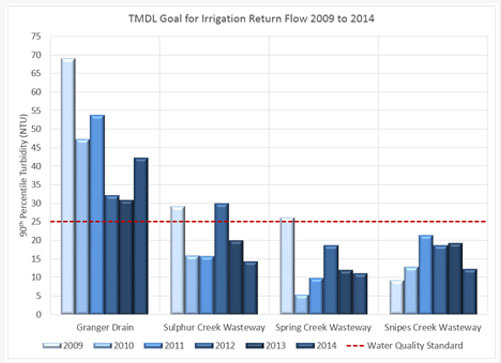 Click here for Spring Creek Wasteway graph (2006). 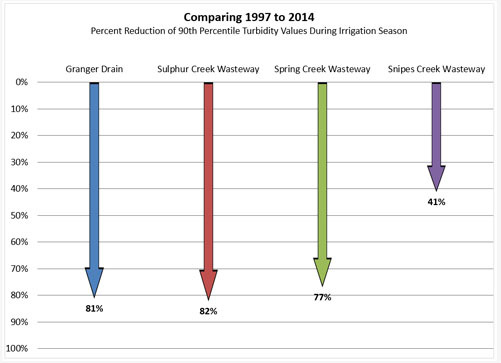 Click here for Snipes Creek Wasteway graph (2006). Click here to learn more about settling basins and other water quality methods. Click here for information about the RSBOJC Wetland Project. Click here to learn how SVID irrigators have enhanced water conservation. Click here to read the RSBOJC Fish Survey Report. If you don't currently have Adobe Acrobat Reader installed on your computer, click here to download this FREE utility. Acrobat Reader is required to view these files. Please be patient, as some of the reports are lengthy and take a few minutes to load.